NISOD Is Excited to Welcome Our New Member! 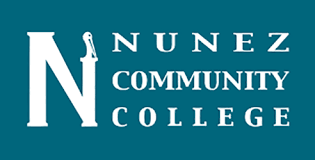 About: Nunez Community College is a comprehensive community college offering a general education and occupational technologies curriculum that blends the arts, sciences, and humanities leading to associate degrees, certificates, and workforce development. Why they became a member: The prestige of belonging to NISOD.